Medical aid schemes and the plans that they offer might seem very confusing and often also intimidating to a first-time buyer. Understanding all the jargon involved and all of the different options available are crucial factors when choosing the best option for you and your family. 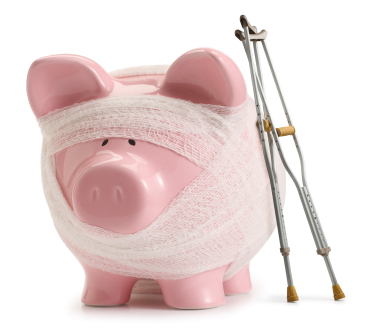 Many people are not quite sure about medical aid savings accounts and how they work. These medical aid savings accounts can be quite an asset and understanding them and how they work is important when shopping around and comparing the different medical aid options and plans available. A medical savings account is basically a collection of your money paid to the medical aid scheme and kept aside to contribute or pay for the day-to-day medical expenses. These savings can be carried forward every year if the member does not use all of the savings available. If there are any savings left in the medical aid savings account when the member terminates membership with the medical aid then these savings would be returned to the member in a cash payment. Payments made into the medical aid savings account is completely tax- deductible. These funds can then be used to pay for most medical expenses including doctor’s visits, monthly medical aid premiums and the costs of prescription medication. However, there are some expenses that would not be covered by the funds in this account and these exceptions would differ from one medical aid savings account provider to another. You should always find out what the limitations and exceptions are before you make any decision about which medical aid savings account provider is the best option for you. One of the biggest benefits of having a medical aid savings account is the fact that unused funds will carry over month after month and year after year. They would also be accumulating interest and growing favourably. You would then have the choice of using the funds for future medical expenses or simply withdrawing your accumulated funds and terminating your membership. When looking for the best medical aid scheme for you, you should pay close attention to the reputation that a particular company has. It is generally recommended that you do not sign up for a medical aid savings account if the company has a poor reputation. Pay close attention to what quality of service the company has rendered to previous employees. Companies with a poor reputation for customer service or efficiency will only cost you unnecessary stress, money and time in the long run. Look for a medical aid savings account available from a company that has a long standing reputation in the industry. By doing all the necessary research and becoming familiar with the terminology and jargon used in the industry, you can make an educated decision about which medical aid scheme and medical aid savings account option is the right one for you and your family. The end result would be more than worth this small initial investment of time and effort.